Every Southern garden should include this classic pass-along plant. French hydrangeas define the South like sweet tea and cornbread. Also known as bigleaf hydrangeas (Hydrangea macrophylla), they’re favorite plants that Southerners love to clip and share with friends and family. 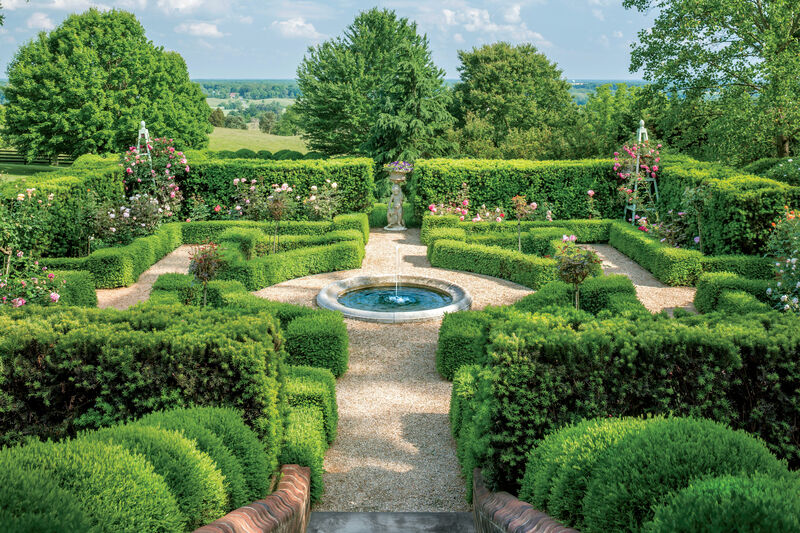 In the warm days of summer, big balloons of delicate blooms in blues, pinks, purples, and white seem to float up like magic from the lush green foliage of these shrubs. Look for French hydrangeas at your local garden center, or order online from Hydrangeas Plus or Wilkerson Mill Gardens. For more information visit americanhydrangeasociety.org. 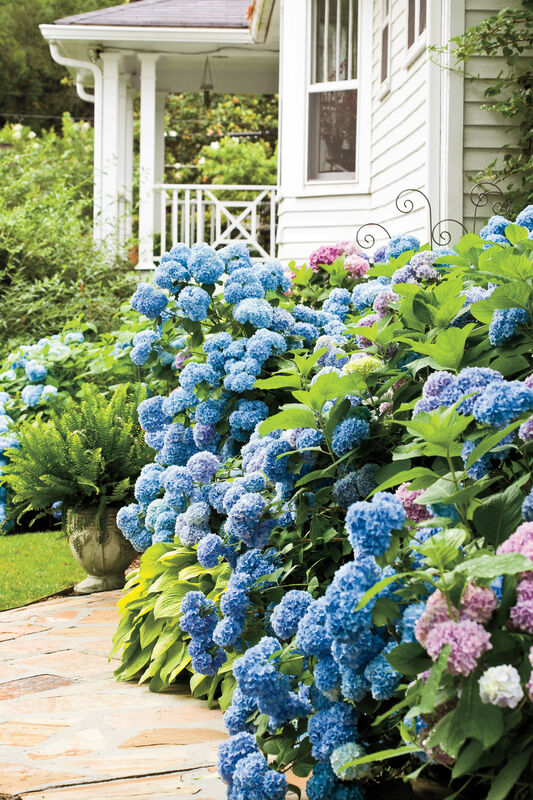 Despite the variety of colors available, most people associate French hydrangeas with the classic blue hue. Sometimes, the hydrangea you bought as blue changes color and blooms pink the following year. Your hydrangea is simply responding to the soil pH. Blue flowers are produced in acid soil (pH 5.5 and lower), and pink flowers are produced in alkaline soil (pH 7 and higher). You can add aluminum sulfate around your hydrangeas to acidify the soil. 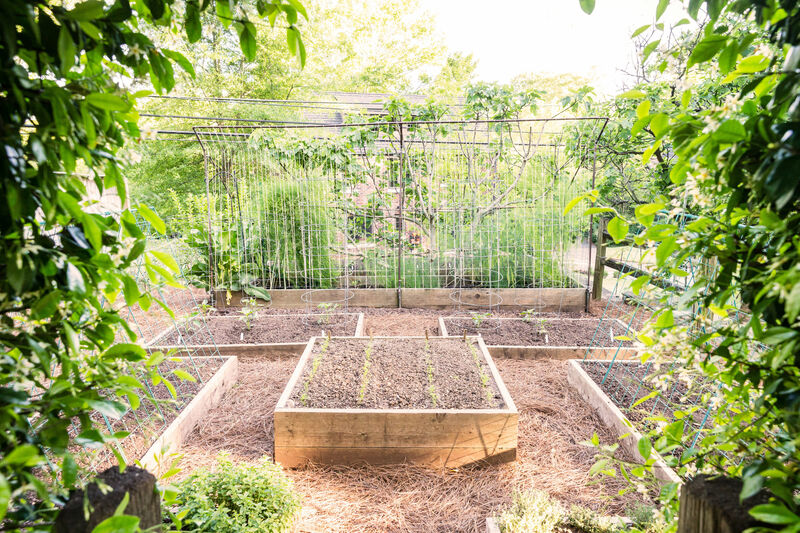 Add lime to make your soil more alkaline. Some selections are less affected by soil pH than others. 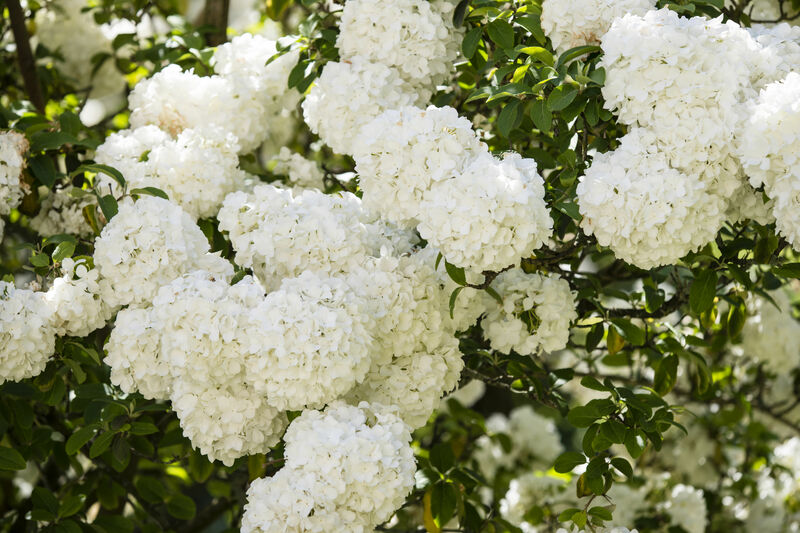 White-flowering ones, such as ‘Lanarth White’ and ‘Madame Emile Mouillere,’ will stay white. French hydrangeas can be mopheads or lacecaps. You know the mopheads—big, round clusters of color. Each bloom is a bouquet within itself. Our editor’s pick is the mophead ‘Merritt’s Supreme’ pictured. It grows showy, pinkish red blooms. Pests: These shrubs have few pests but can get spider mites if planted in full sun. 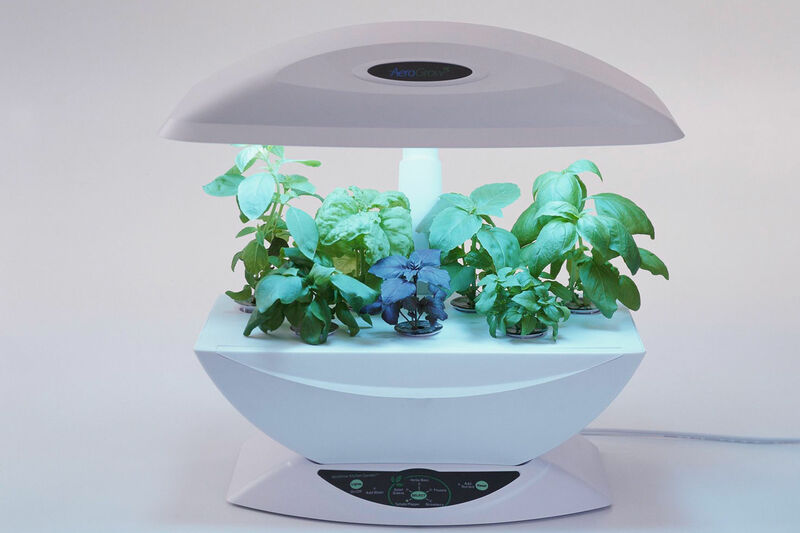 Light: Plant in mixed sun and shade (won’t bloom in full shade). Soil: Hydrangeas like moist, fertile, well-drained soil with lots of organic matter, such as peat or chopped leaves. Mulch plants to help keep roots cool and moisture consistent. They’re also great plants for the coast since they can tolerate salty conditions. Prune: Remove dead growth in spring; trim off faded blooms in summer and fall. French hydrangeas look great in generous sweeps, but if you really want to make your borders sing, pair them with hostas in the foreground. Both love partial shade and plenty of water. Three can’t-miss choices are ‘Guacamole’ (large, avocado green leaves with dark green margins), ‘Patriot’ (dark green leaves with creamy white margins), and ‘Halcyon’ (considered by many to be one of the best blue-foliaged hostas). For real impact, try ‘Sum and Substance,’ a chartreuse green hosta that grows nearly 6 feet across. Other pairings: Use such evergreens as camellias and purple loropetalums as backdrops. Ferns and variegated monkey grass work great in the foreground. Thanks to some hardworking horticulturists, there are lots of selections of remontant (repeat-blooming) French hydrangeas to choose from. Try ‘Blushing Bride,’ ‘Dooley’ (purple bloom pictured), ‘Endless Summer,’ ‘Twist n Shout,’ and ‘Mini Penny’ (pink bloom pictured). They’re especially good if you live in the Upper South or any other area with early fall frosts and cold winters that can cause plants to freeze to the ground. 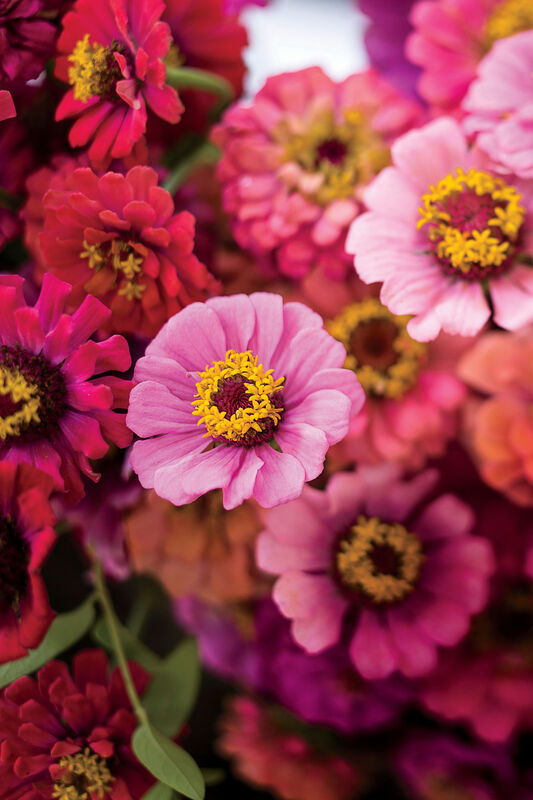 Tip: Water and feed repeat bloomers consistently to ensure steady blooms. 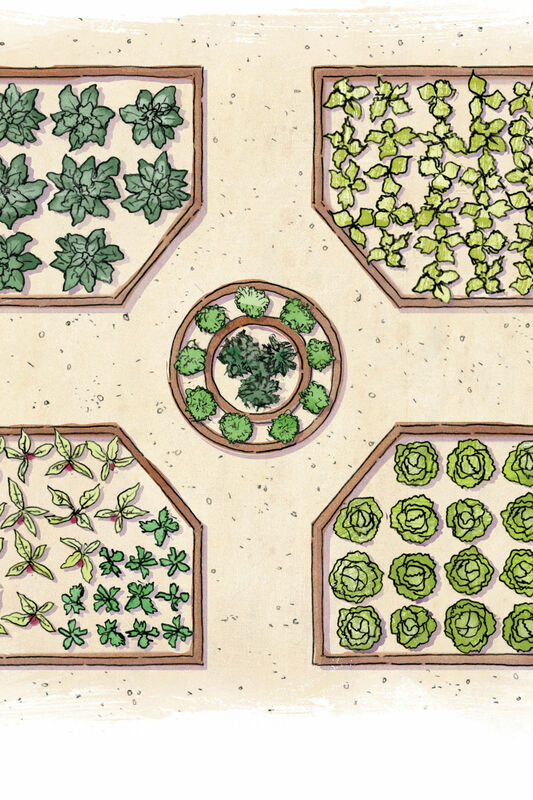 Create your own pass-along plants by rooting some this summer. Step 1: Take cuttings in early summer. Use a pair of sharp snips or clippers to take cuttings about 6 inches down from the tip of the stem; then remove the lowest pair of leaves. Step 2: Use a rooting hormone to get your cuttings started. Wet the ends of cut stems, and dip into a rooting powder, such as Rootone, following the instructions on the label. Step 3: Stick each cutting in a pot containing moist potting soil, and place the pot in a shady location. Keep soil slightly moist. Cuttings root in six to eight weeks. Add to your yard (or share) in the fall. 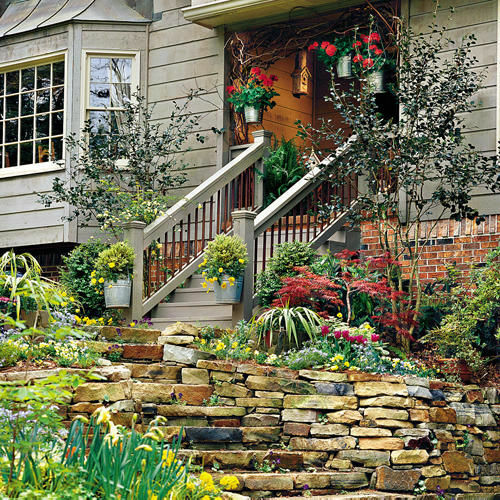 Besides adding color to your garden, hydrangeas also make great cut flowers. Keep it simple. 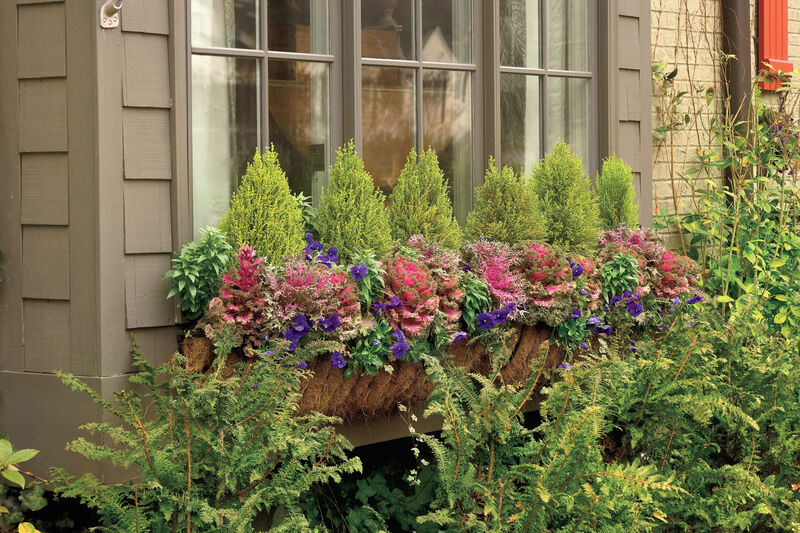 Stick with one bloom color paired with one type of complementary foliage, such as hosta leaves, fern fronds, or Solomon’s seal stems. You can also dry hydrangea blossoms and enjoy them year-round. Learn more tips and tricks on growing gorgeous hydrangea blooms with Grumpy Gardener Steve Bender’s video.